Grohmann Moose and Deer Knife. 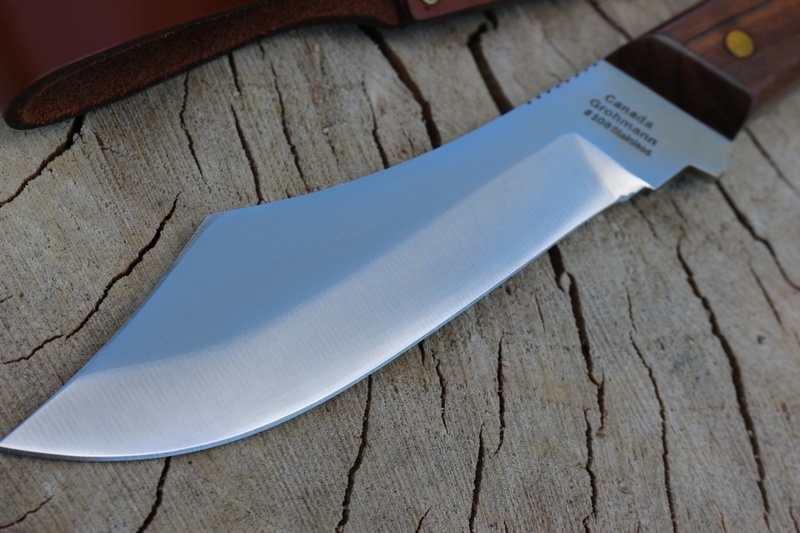 Large, solid hunting knife from Grohmann, Canada. The Moose was specifically designed for field dressing large Game animals. 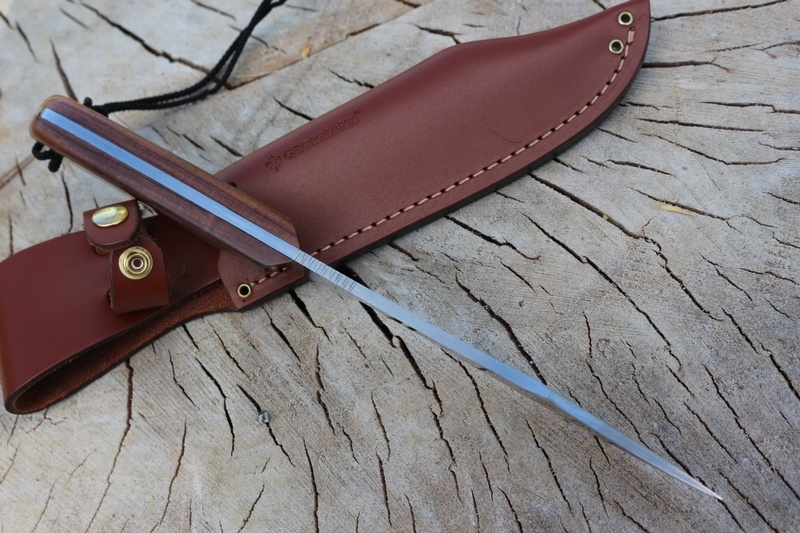 Lots of Grip with a large wide slabed handle, the Knife also offers a full broad tang with a solid 3/16th stock and an upswept clip point blade. Good balance and a long cutting edge help with field dresssing and the German High Carbon Stainless steel has good edge holding and strength, not to mention great stain resistance for those muddy Fall Hunting days. Rosewood slabs with Brass pins and lanyard hole, the Moose is a very good practical field knife. 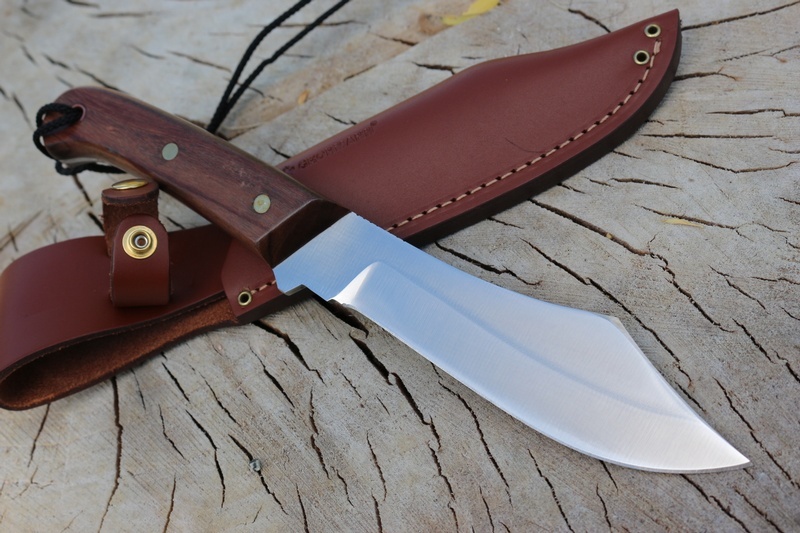 Purchase through PayPal by using the "Add To Cart" button above or use the form below to order the Grohmann Moose and Deer Knife . 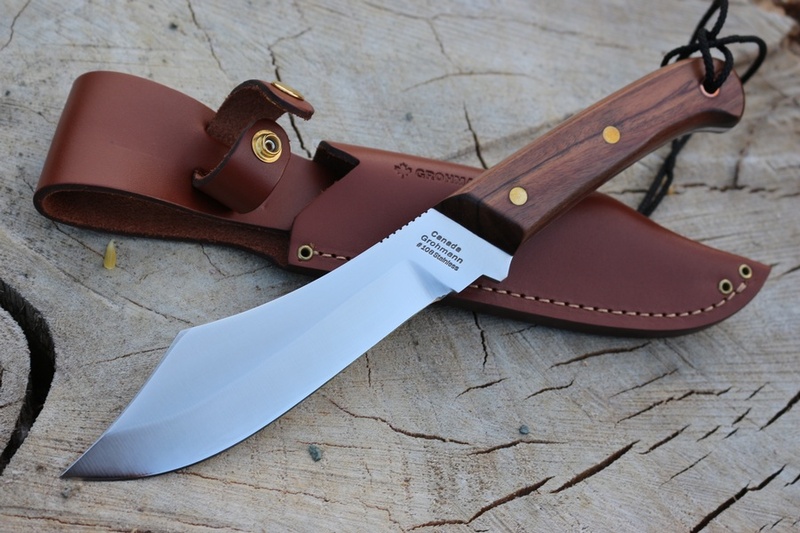 Feel free to contact us if you have any questions about the Grohmann Moose and Deer Knife .